The filmmakers behind the Hellboy reboot promised a violent and gory film, but was it enough to bring audiences to the theaters? The film was critically panned by critics, and one reviewer even said that it was “one of the worst comic book movies ever made.” And there’s a report that said it had issues behind the scenes between the director and producers. 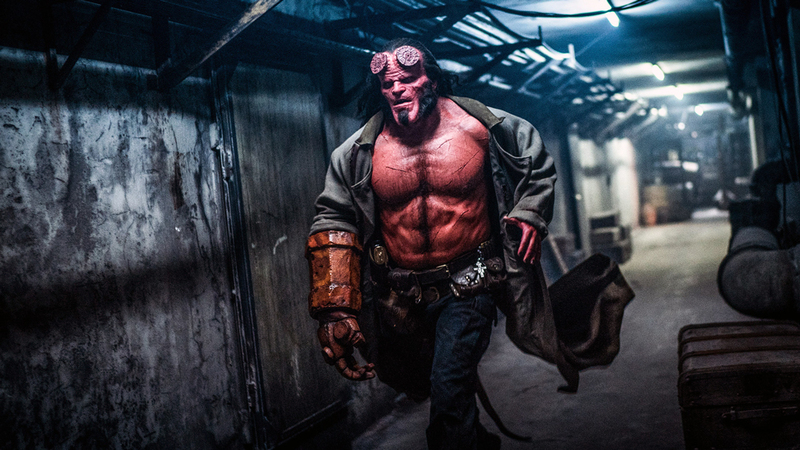 Hellboy hit theaters over the weekend, and it has earned a measly $12 million for its domestic box office opening. Shazam, on the other hand, is once again the #1 film. Hellboy has a production budget of $50 million, so it’ll be interesting to see if the film is going to have enough legs to surpass that along with its marketing budget. Audiences haven’t been too excited about the film since it has a C CinemaScore. With bad reviews and audiences feeling ho-hum about the reboot, it’s not that surprising to see Hellboy open with such low numbers. Shazam! is once again the number one film for its second weekend, and it has earned $25 million for the past weekend. The DC superhero movie now has a total of $94 million at the domestic box office and a total of $258 million worldwide. That’s not bad from an estimated production budget of $85 million. Synopsis: The film is about Hellboy going to England, where he must defeat Nimue, Merlin’s consort and the Blood Queen. But their battle will bring about the end of the world, a fate he desperately tries to turn away. Hellboy is directed by Neil Marshall and stars David Harbour (Netflix’s Stranger Things) as the titular character, Ian McShane (American Gods) as Professor Broom, Milla Jovovich (Resident Evil) as Nimue the Blood Queen, Sasha Lane (American Honey) as Alice Monaghan, Daniel Dae Kim (Lost) as Ben Daimio, Penelope Mitchell (The Vampire Diaries) as Ganeida, and Thomas Haden Church (George of the Jungle) as Lobster Johnson. Hellboy is based on the comics by Mike Mignola that follows the main hero and the Bureau for Paranormal Research and Defense (BPRD) as they take down occult threats. It has spawned two animated films that aired on Cartoon Network and two other live-action movies from director Guillermo del Toro (Pacific Rim, Blade 2, Devil’s Backbone) starring Ron Perlman (Sons of Anarchy) as Hellboy. Del Toro even partnered with Konami for a 2008 video game based on his films. Injustice 2, the fighting game that pits DC superheroes against one another, even allows players to pick Hellboy if they have the Fighter Pack 2. Did you watch the Hellboy reboot? If so, did you enjoy it? Or did you decide to pass on the film? Let us know! The post Hellboy reboot disappoints at box office with $12 million opening appeared first on Nerd Reactor.